A report released recently shows that Kampala city dwellers are consuming between 3 000 and 4,000 micro particles of plastic from tap water. KAMPALA–After researchers from the State University of New York and University of Minnesota released their findings on the tap water that they said is not safe for human consumption, city dwellers are living in panic. This week, researchers found out that residents from different countries, including Kampala city, are consuming between 3,000 and 4,000 micro particles of plastic from tap water. The report entitled: “Invisibles: The plastic inside us” aimed at studying the amount of micro-plastics in drinking water. Alex Kawooya, a water vendor in Kaazo Bwaise, told PLM Daily that many dwellers are likely to abandon using tap water, wells and springs. “Government should come out and assure Ugandans that it is providing safe water, otherwise many people will abandon it,”Kawooya explains. The researchers said the micro plastics are posing health risks, pointing at previous findings that plastic particles can absorb and release potentially harmful chemicals and bacteria. 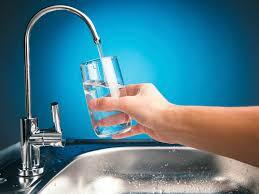 About 159 tap water samples were analysed of which 83% were found to contain plastic particles. Samples were collected in Kampala, New Delhi, Jakarta, Beirut and Quito. Other cities were in USA and in seven European countries. According to AFP, all the samples were sent to the University of Minnesota, Minneapolis for lab testing. In Uganda, National Water and Sewerage Corporation (NWSC) says it monitors the quality of water supplied to the citizens. NWSC also insists the water is supplies meets World Health Organisation and Uganda National Bureau of Standard measure. This is not the first time tap water is under spot. In 2015, various reports indicated that piped water in Kampala and the neighbouring districts was contaminated with feacal. Government conducted tests and it turned out to be negative.